Chevrolet could be finding new roads to markets it previously abandoned, with the bow tie brand rumored to be making a return to the Russia and CIS markets. According to reports from Russian and Kazakh media quoting government spokespeople and sources close to General Motors, sales of Chevrolet vehicles such as the Aveo (Sonic), Captiva, Cruze and Lacetti, could restart by the end of the year. General Motors pulled mainstream Chevrolet models and all Opel vehicles from sale in Russia in March of 2015 as Western economic sanctions were imposed on the country last year. In doing so, it also shut down its assembly plant in St. Petersburg, which produced both Chevrolet and Opel vehicles. Currently, the automaker sells pricey yet low-volume Chevrolets such as the Corvette, Camaro, and Tahoe in Russia, along with the Cadillac model range. Sources say that production of Chevrolet vehicles for the purported return to Russia will take place at the Asia Avto plant in Kazakhstan, a contract assembler for GM and other brands such as Lada, Kia and Skoda cars. The cars would be distributed through the Asia Auto dealer network, according to reports. According to the Minister for Investments and Development of Kazakhstan, Jenis Kasymbek, Asia Auto will begin exporting cars to Russia later this year. The plant is looking to raise annual capacity to up to 200,000 units a year. Chevy vehicles are reportedly expected to account for a significant portion of that objective. From there, the vehicles are said to be exported to Russia without customs duties or most other fees, as both Russia and Kazakhstan are members of the Eurasian Econimic Union — an economic and political union that also includes Armenia, Belarus, and Kyrgyzstan. 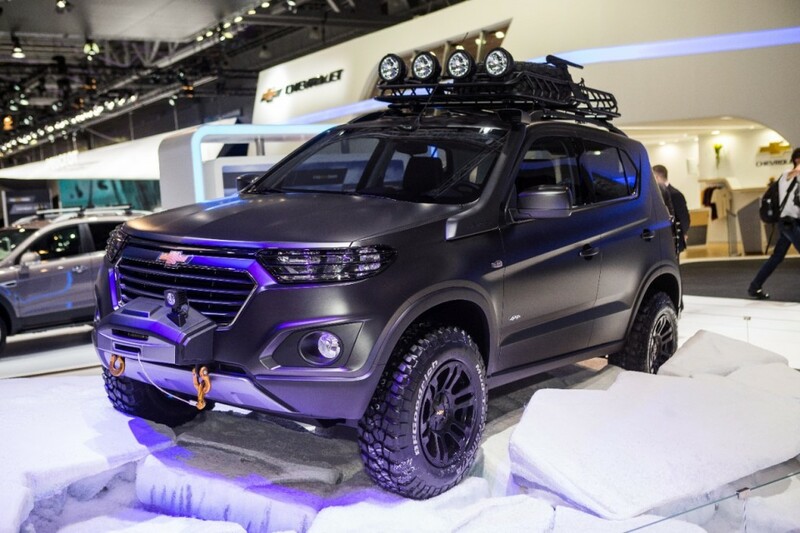 Outside of rumored efforts to return the principal Chevrolet lineup to Russia, GM is also gearing up to launch an all-new Chevrolet Niva in Russia. The endeavor is the result of a joint venture between General Motors and Russian automaker AvtoVAZ called GM-AvtoVAZ. To bring the new car to market, GM-AvtoVAZ secured a loan from Russia’s largest bank, Sberbank, to modernize the Togliatti factory in Samara, roughly 400 miles (650 km) southeast of Moscow. Plans for the project include a car-body assembly facility along with a new engineering and logistics center. The joint venture is developing a production schedule of up to five years, according to AvtoVAZ President Nicolas Maure. The vehicle is said to incorporate high levels of localization, making it an attractive project for domestic parts suppliers. The vehicle was previewed in concept form at the 2014 Moscow Auto Show, but its development was shelved as a result of the country’s economic troubles caused by the declining value of the Ruble and the impact of Western economic sanctions.